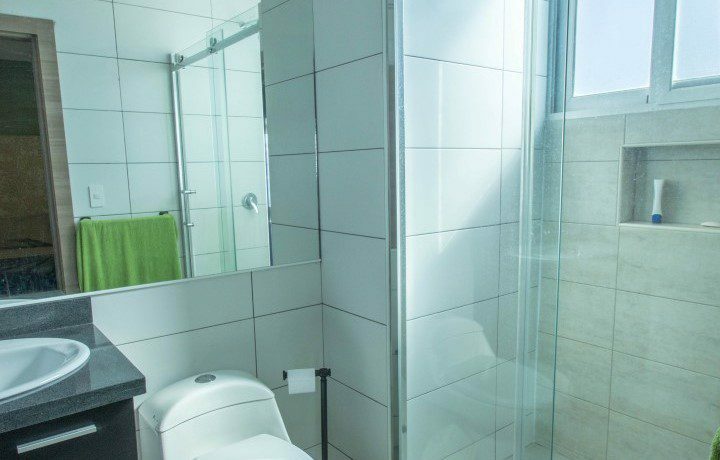 This condo has virtually everything you need all wrapped up into a perfect package just for you to enjoy! 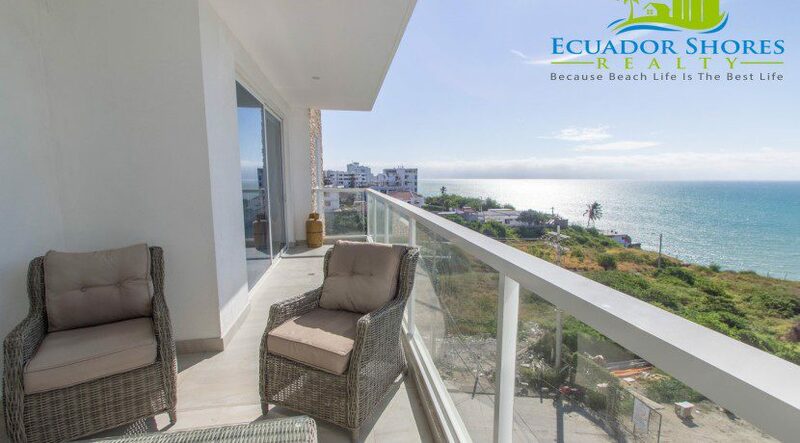 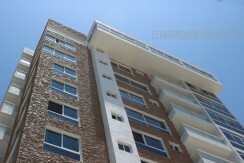 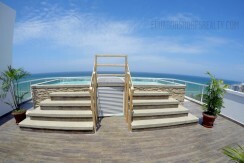 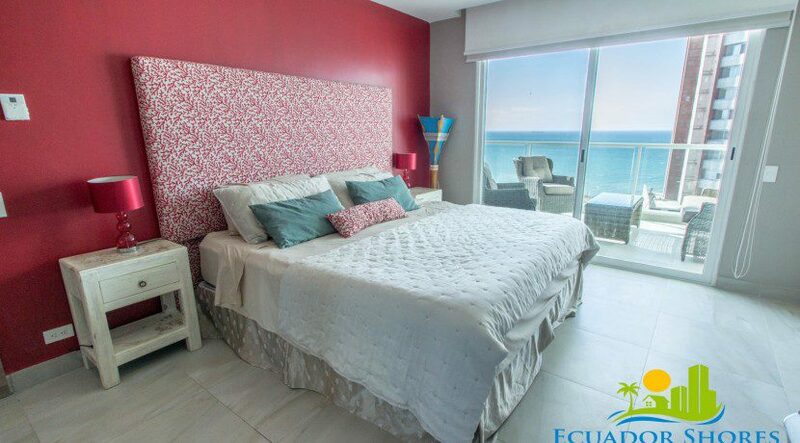 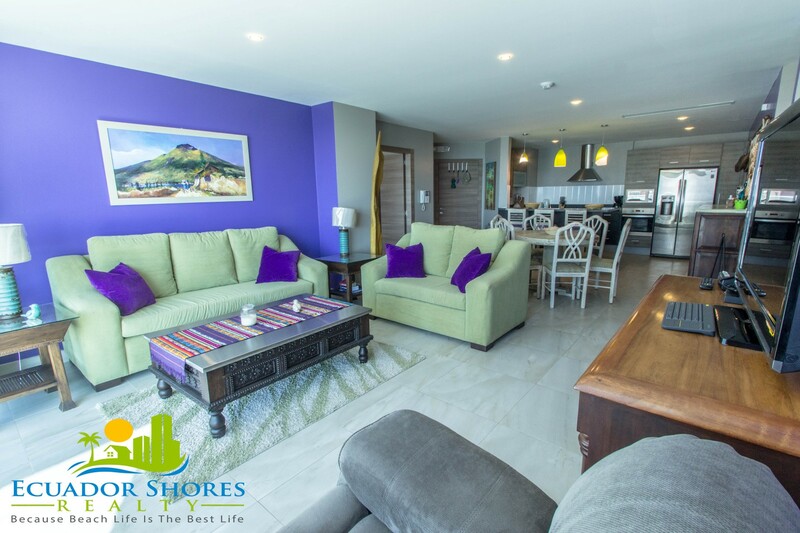 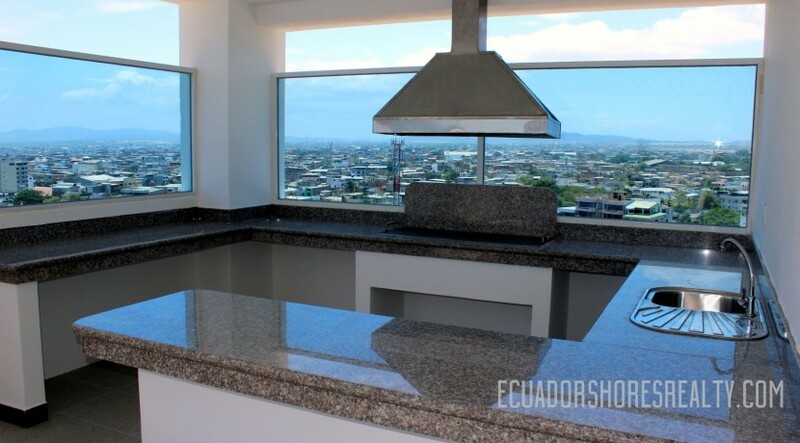 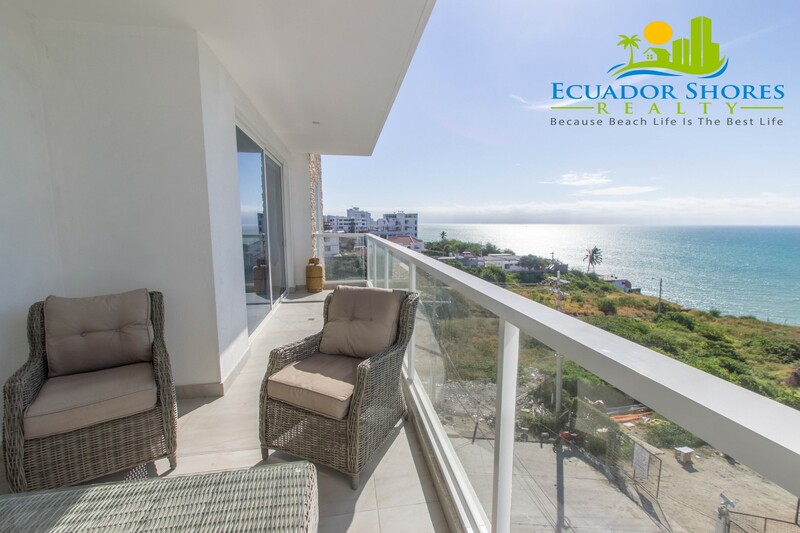 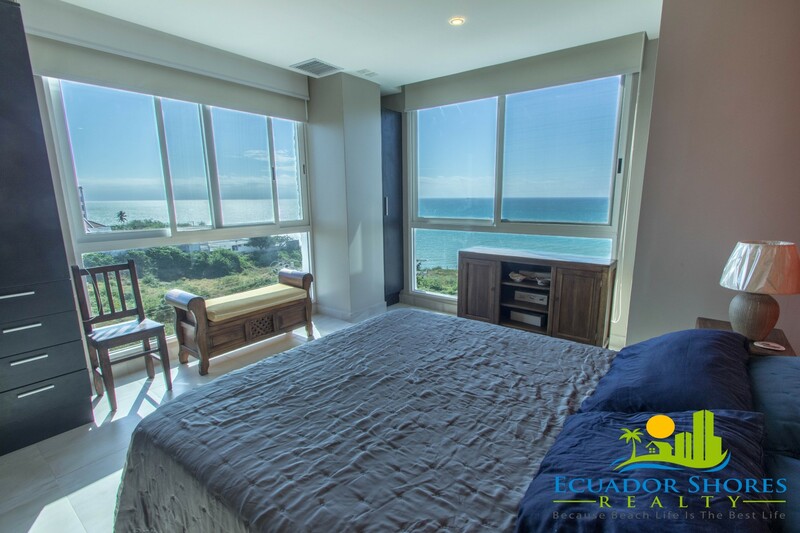 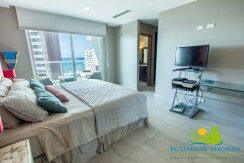 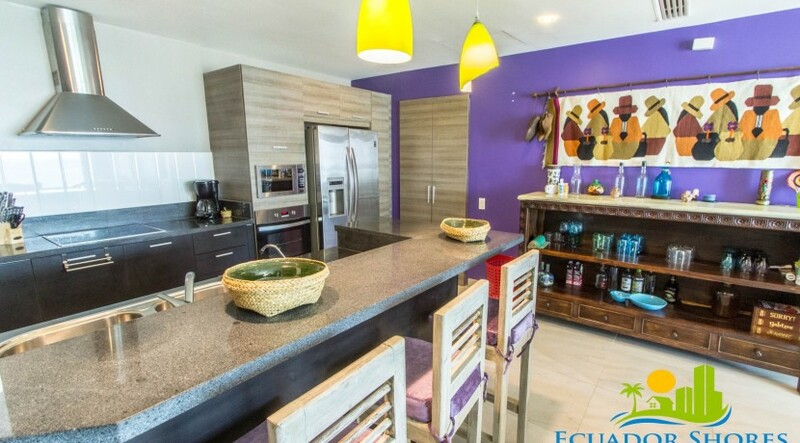 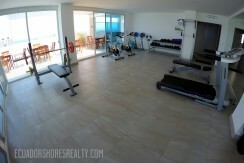 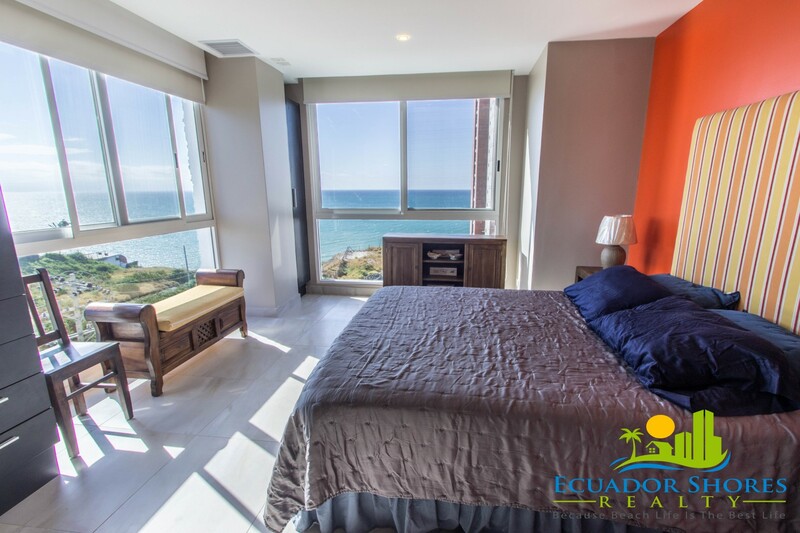 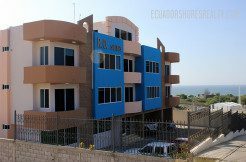 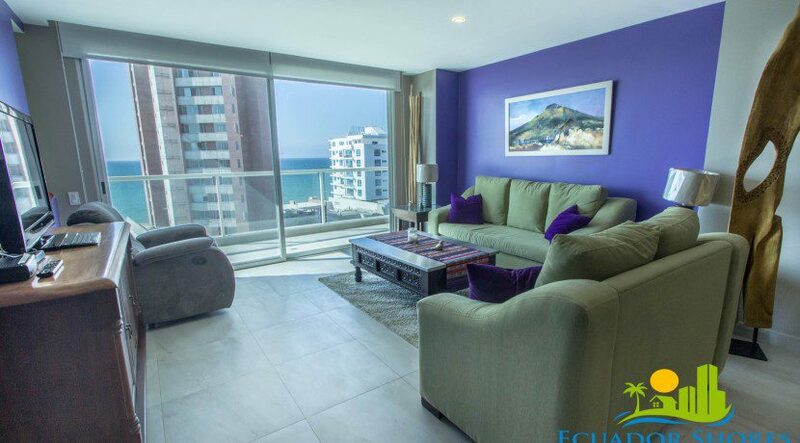 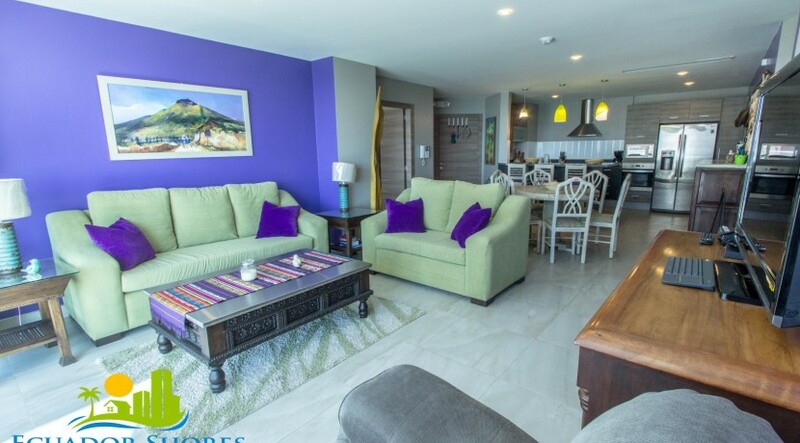 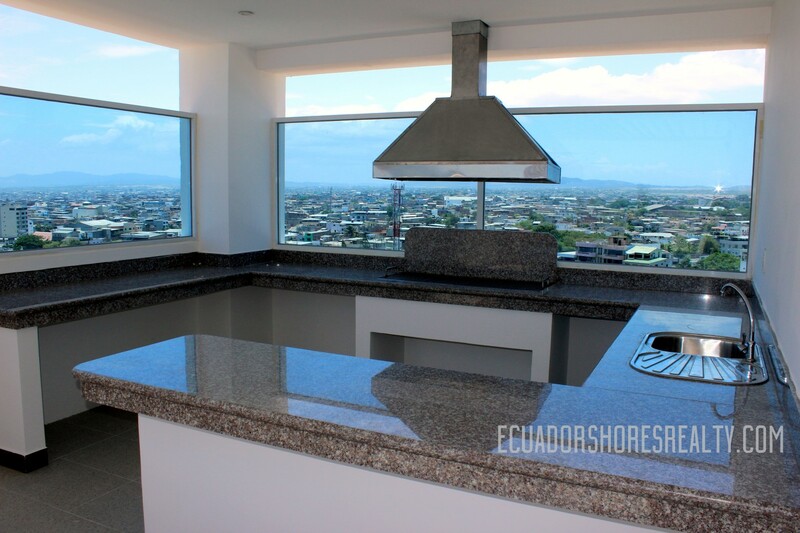 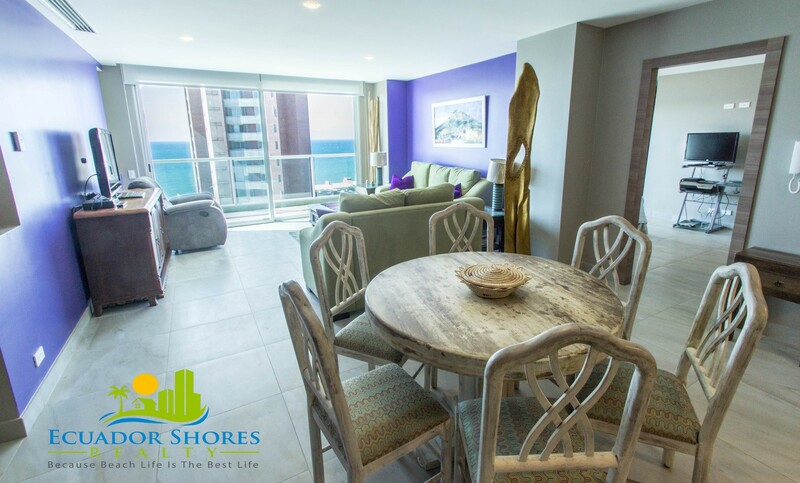 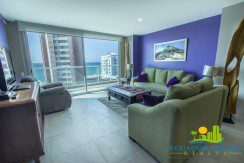 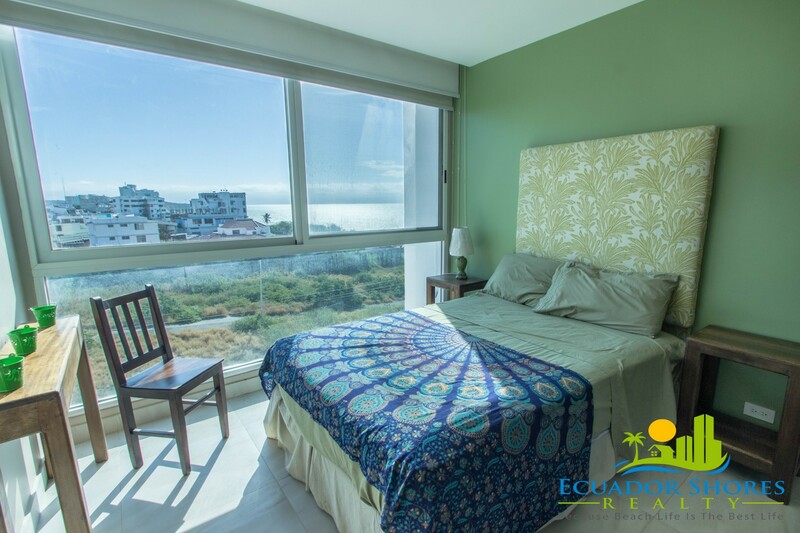 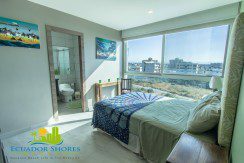 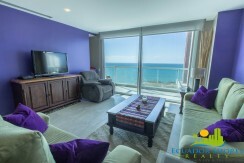 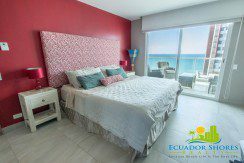 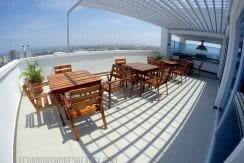 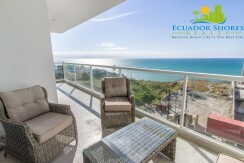 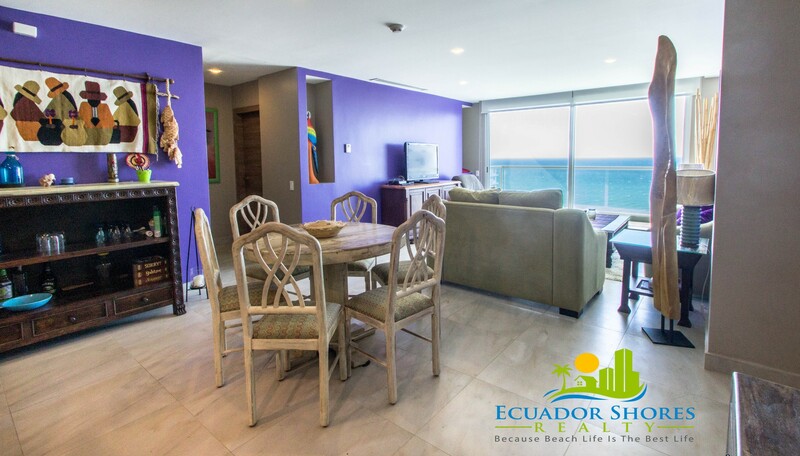 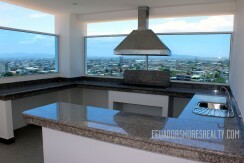 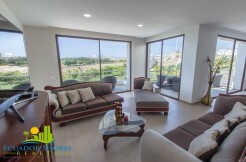 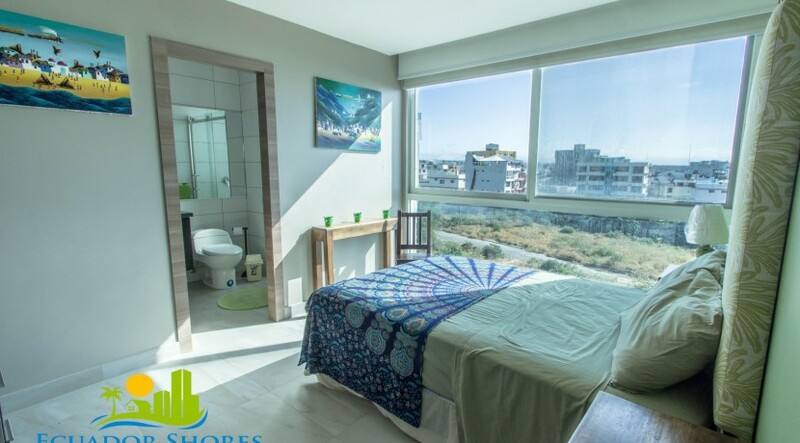 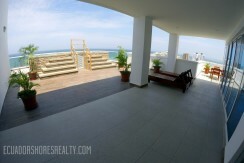 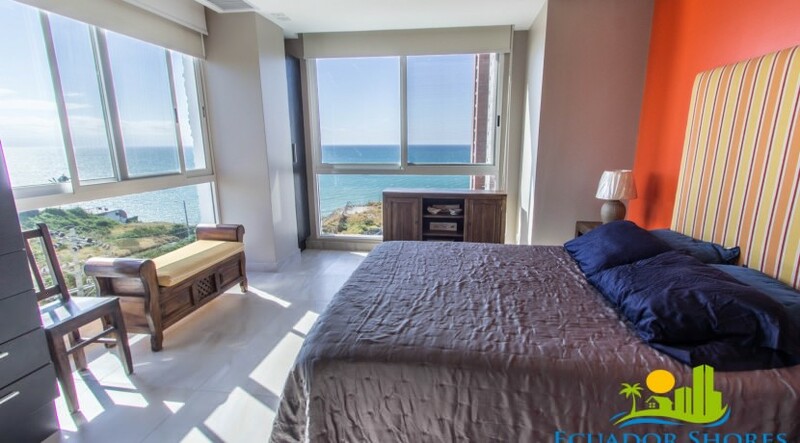 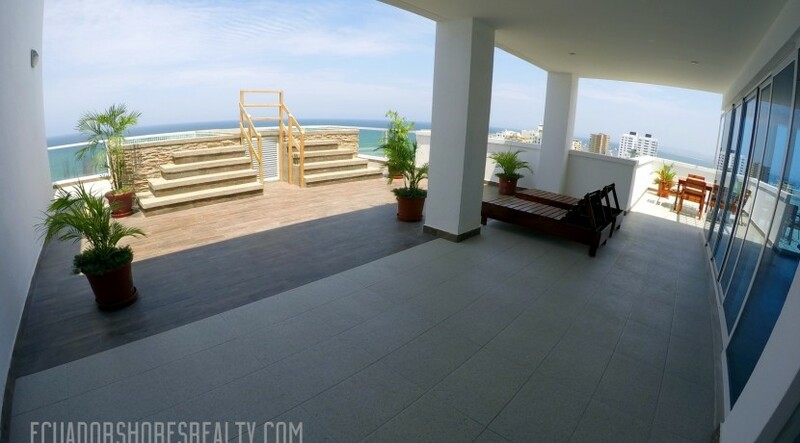 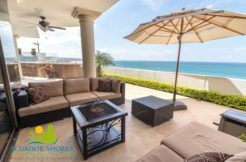 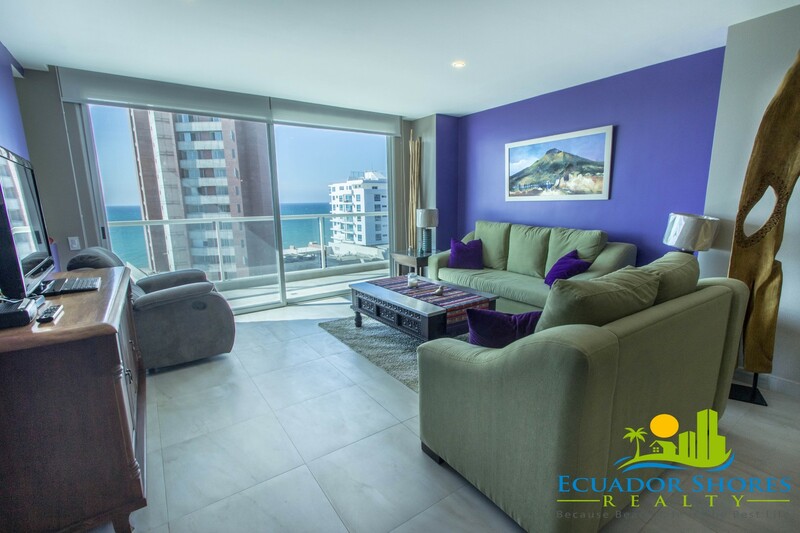 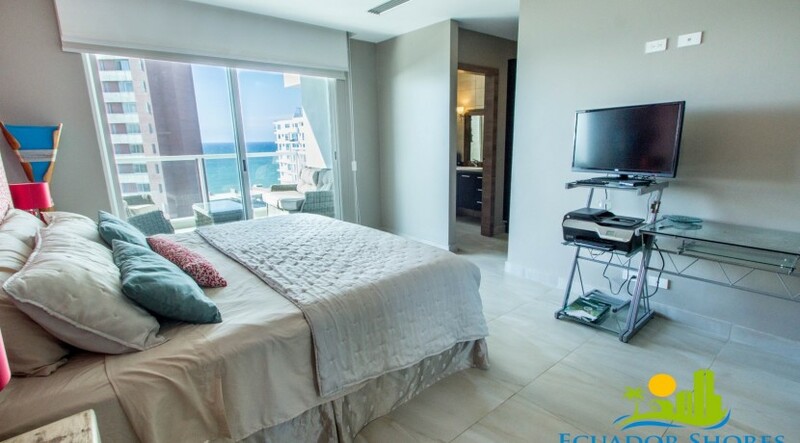 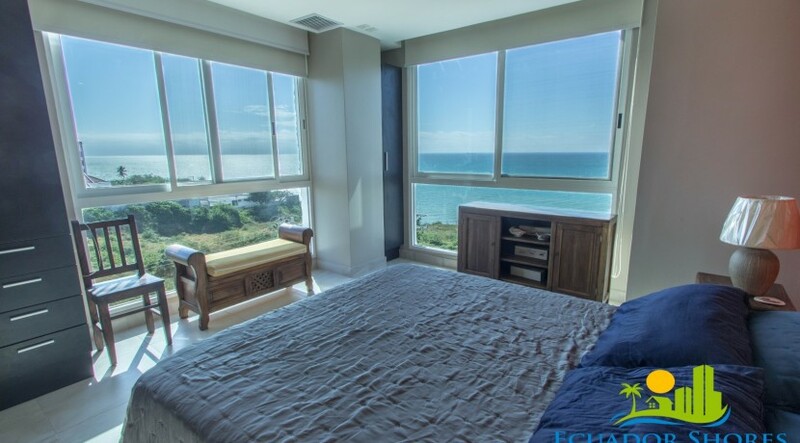 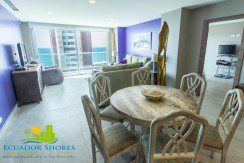 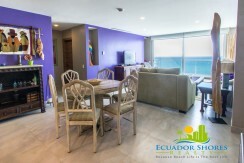 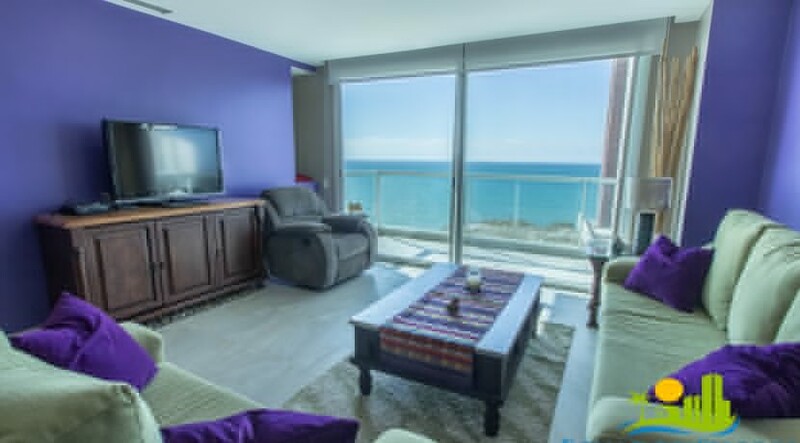 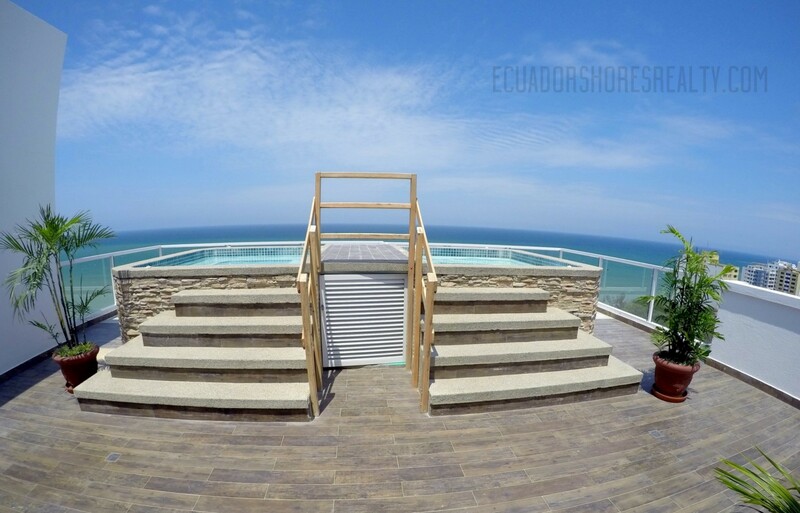 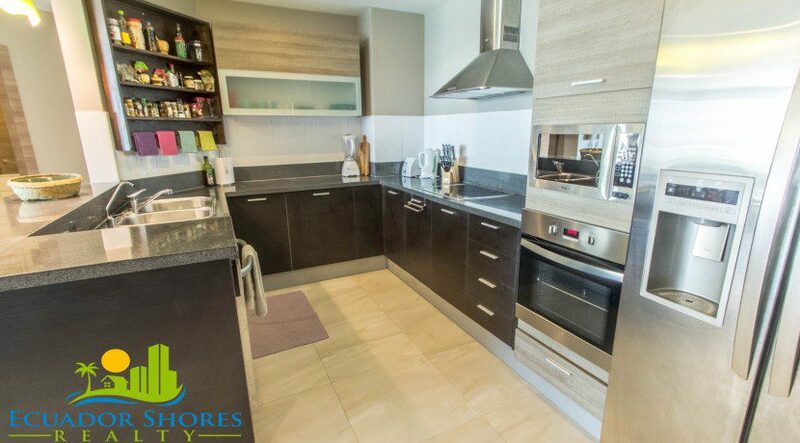 Ecuador is all about vibrant life with a laid back style and that is exactly what you have with this beautiful condo! 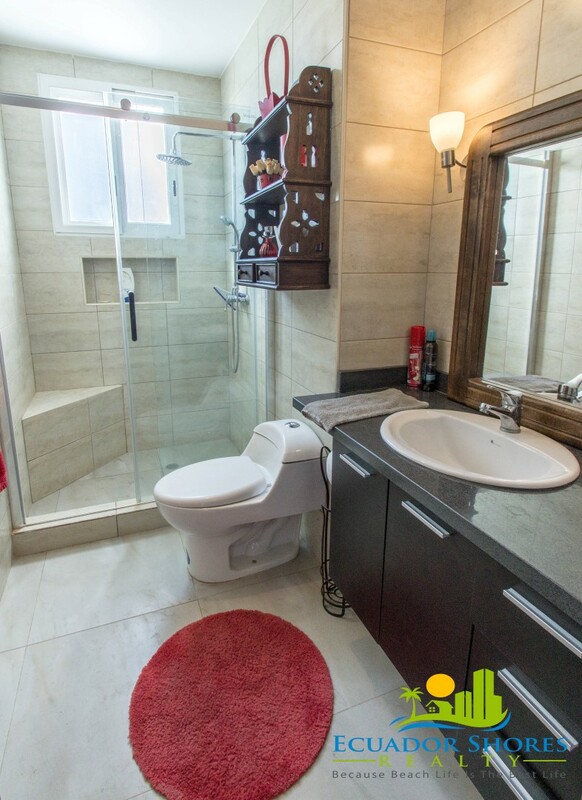 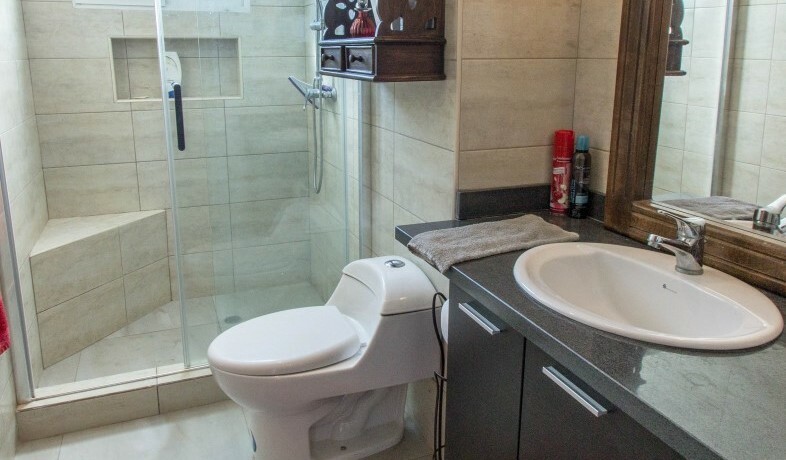 This fully appointed 3 bedroom 3 ½ bathroom has all the space and extras you could ask for. 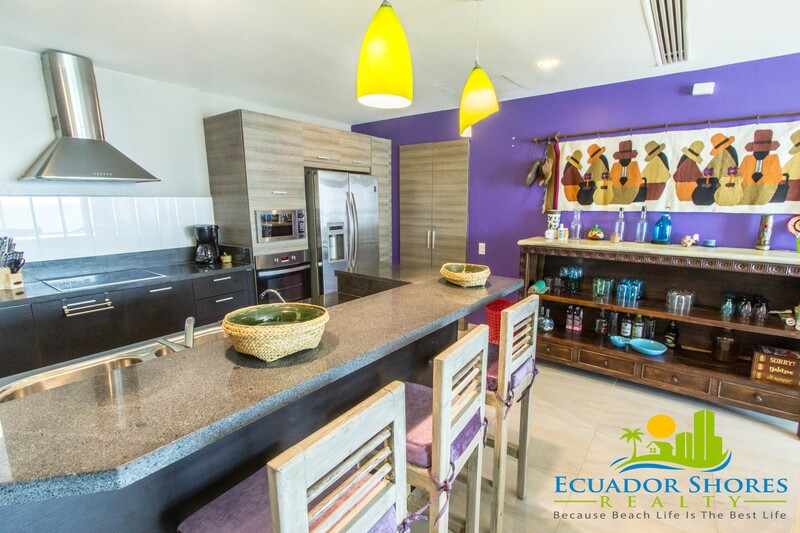 The open floor plan allows you and your friends and family to all be a part of the fun with nobody being left out. The kitchen flows into the dining area and the dining area flows into the living room and that flows to the balcony which is the place to be! 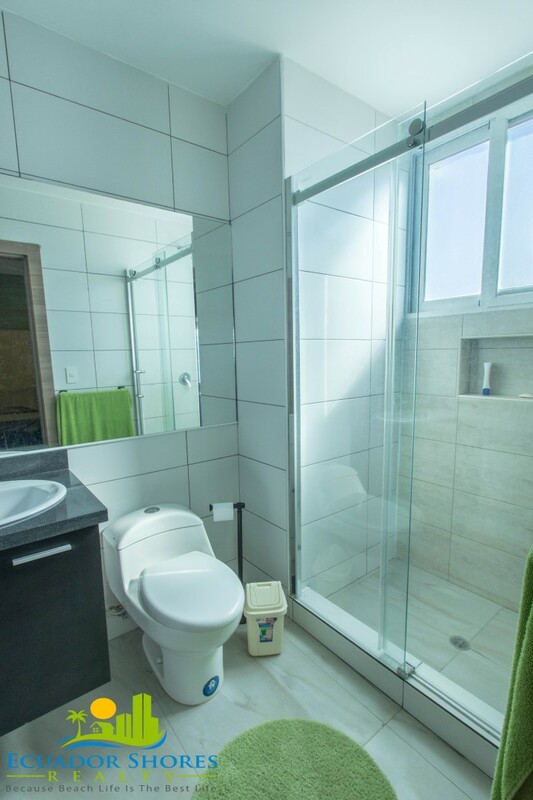 The three bedrooms all have their own private bath plus there is a guest half bathroom in the main living area. Each bedroom also has a beautiful ocean view so nobody is left out of the beach life! 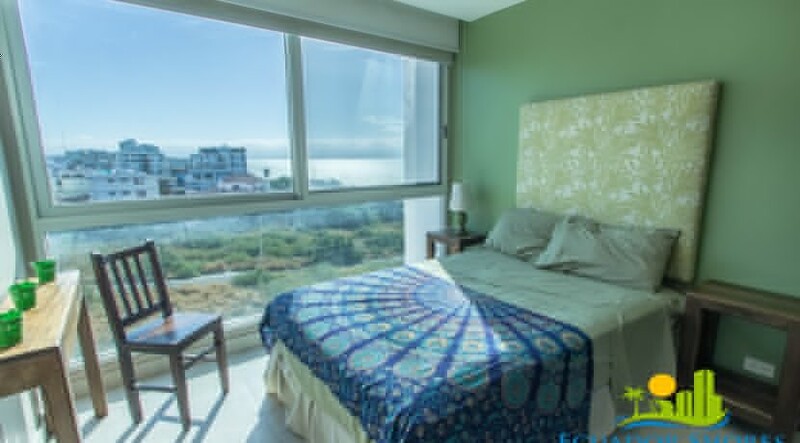 The master bedroom has it’s own entrance to the balcony so you can enjoy morning coffee overlooking the Pacific Ocean! 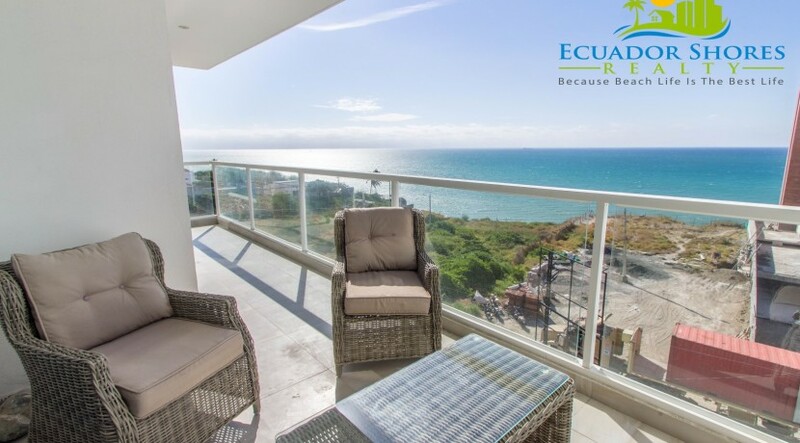 The condo also comes fully furnished so all you need to do upon moving in is just unpack, kick your feet up on the balcony and start living the life! The furniture includes custom made pieces by local Ecuadorian craftsman as well as imported items from North America. 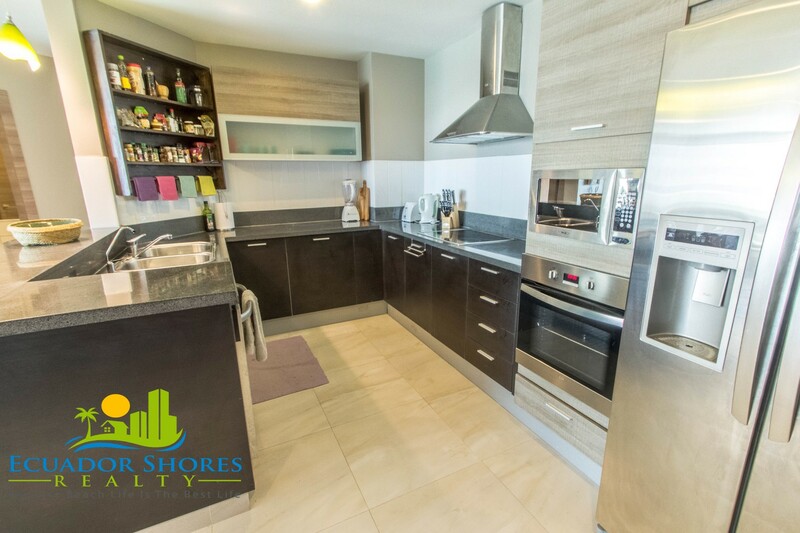 The unit comes with all the appliances as well including a water purification system and full size washer/dryer for convenience. The Arrecife has something else that no other building around does….a community rooftop center with all the extras for you to enjoy! 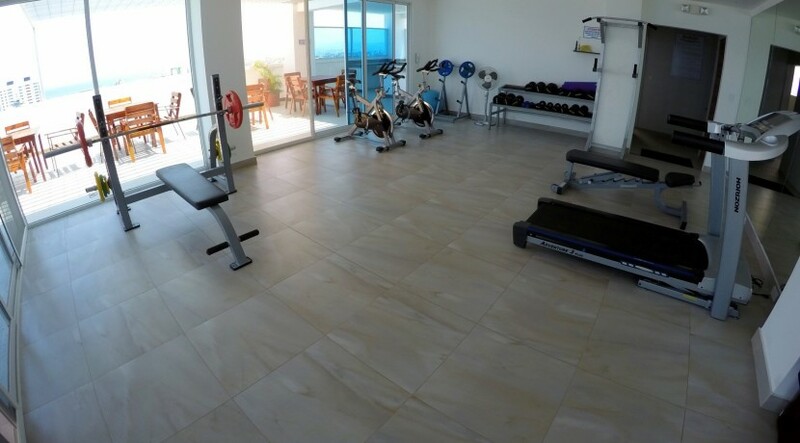 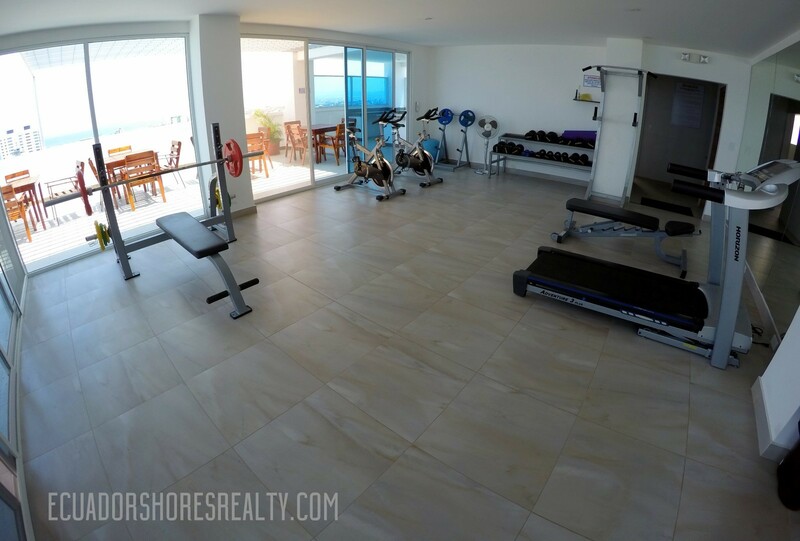 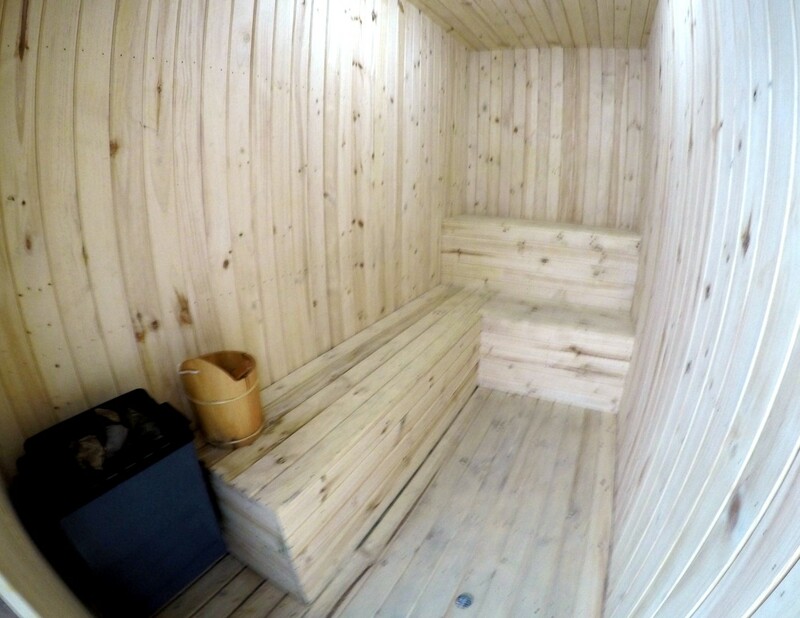 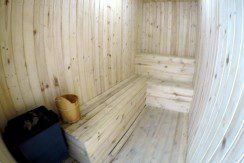 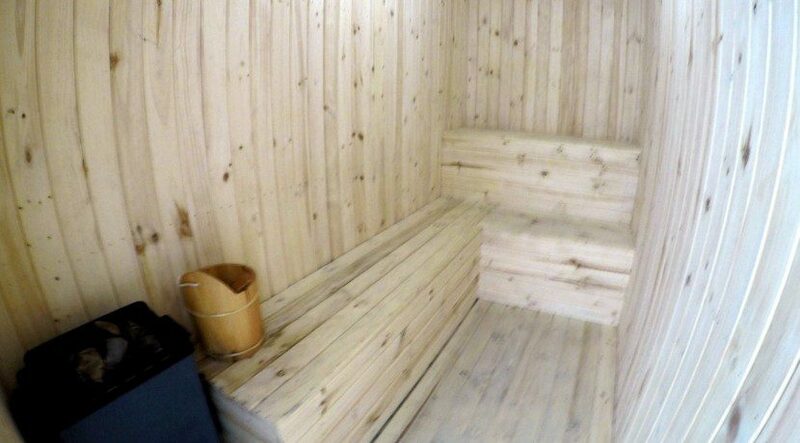 High atop the building you will find a full gym with weights and cardio machines as well as a sauna, steam room, full out door kitchen and my personal favorite the dual Jacuzzis overlooking the blue of the Pacific Ocean! 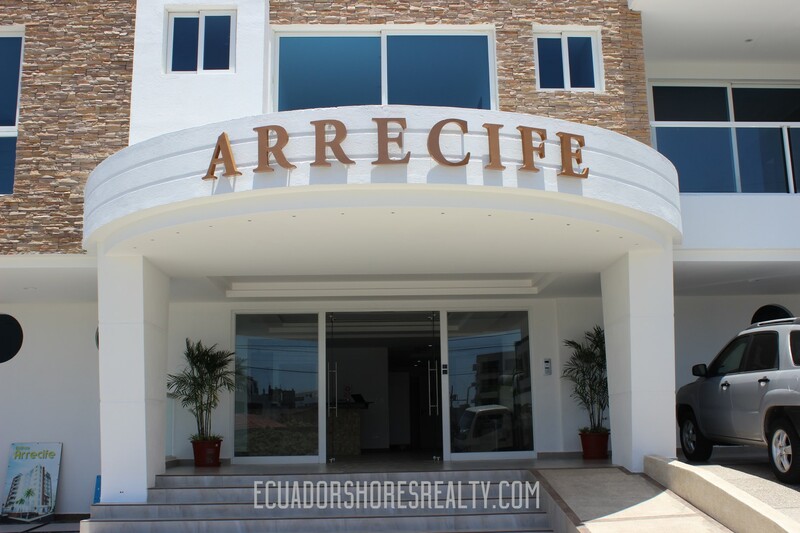 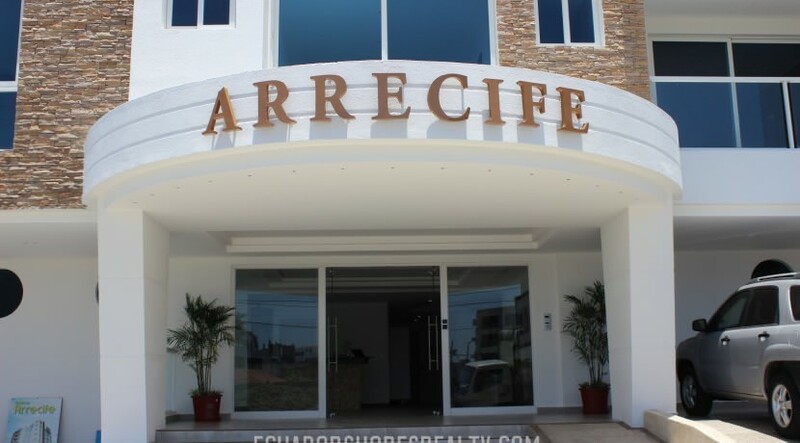 The Arrecife itself was built with top quality materials including porcelain floor tiles, imported granite counter tops and built in luxury kitchens, bathrooms and closets. 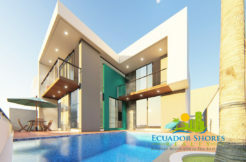 All of which secures a comfortable, long lasting investment for owners. 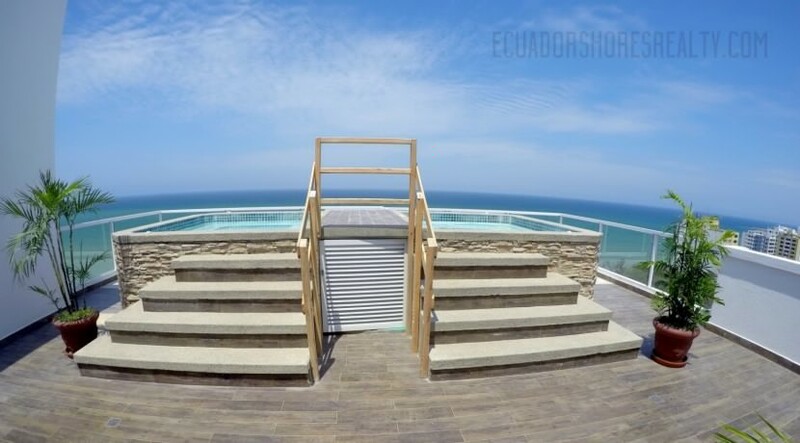 The structure was built to the highest of standards and is crafted entirely from reinforced concrete using materials guaranteed by the countries most reputable suppliers. 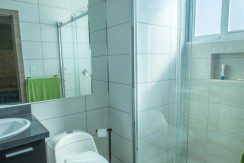 Ample water cisterns with primary and backup pump systems make for constant and reliable service. 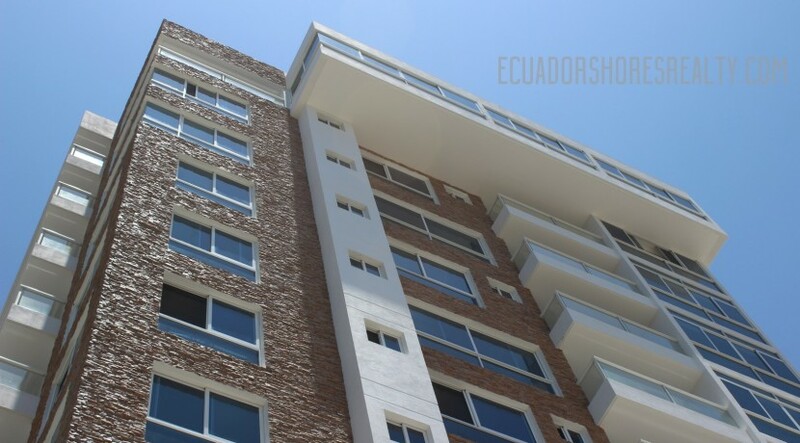 An electric generator sized to power the 2 Mitsubishi elevators, the lighting and pumps for the hole building, as well as power the Refrigerators and selected sockets in the apartments. 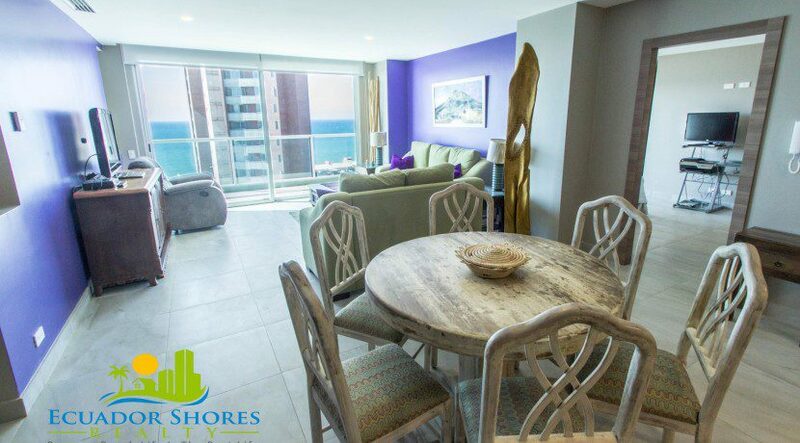 Contact us right away for your private tour of this gorgeous condo and building!